Over the weekend, the hyperactive group of hackers who call themselves Lulzsec announced they are breaking up the band, while also claiming that their "50-day cruise" had been planned all along. Rumor is that Lulzsec members may be blending back into the bigger "Anonymous" collective from whence they allegedly came, leading many to suspect that the announcement of the group's disbanding may actually be more about rebranding. May 7 - Lulz Security establishes a presence on Twitter, tweeting and posting its first hack online, claiming to have gotten ahold of a database of contestants from the Fox TV show X Factor. Lulzsec follows up a few days later with more sales and internal data gleaned from Fox.com. May 30 - After hacks of Sony in Japan and a British ATM database, Lulzsec scores its first big publicity coup by posting a fake story on the PBS website, which claimed that Tupac Shakur was alive and well in New Zealand. June 2 - Lulzsec posts personal data for more than a million users from a handful of Sony websites, mostly from Sonypictures.com, including passwords, e-mail addresses and thousands of music codes and coupons. 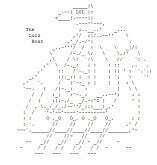 June 3 - The "Lulz Boat" sets a course for the government, targeting security organizations that work with the FBI and other agencies. It claims to have acquired more than 100 passwords from Infragard. June 10 - The group posts 26,000 e-mail/password combos encouraging the public to try out the combos on Facebook and elsewhere for fun and "profit." June 13-20 - Lulzsec appears to be hitting its stride, with a busy week hacking into the U.S. Senate's website, stealing the account information of more than 200,000 users from video game maker Bethesda, claiming to have temporarily brought down the CIA's website, and going after more security agencies in the U.S. and UK. June 23 - In protest of Arizona's controversial anti-immigration law, Lulzsec posts internal documents and information from the state's Department of Public Security. June 26 - Less than a week after the arrest of a British teen tied to Lulzsec's IRC channel's, the group says it is fading away with a press release filled with an atypical amount of seriousness rather than parting lulz.